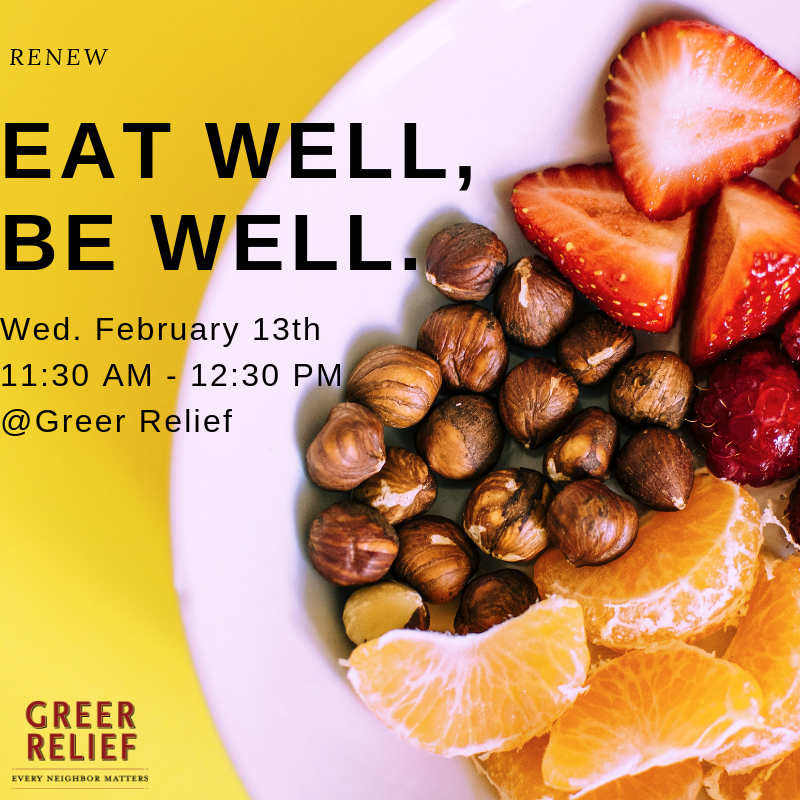 Taught by nutrition enthusiast, Alexander Toia, this class will focus on how the foods we eat effect our bodies. 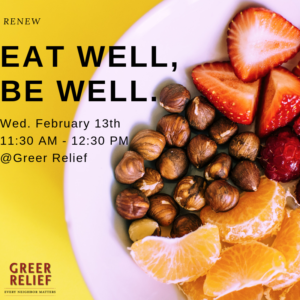 This class will be offered on February 13th from 11: 30 AM – 12:30 PM at Greer Relief. Only participants 18 and up are eligible for RENEW Rewards. Register here.